Shannon is a small satellite town in County Clare, built in the 1960s. 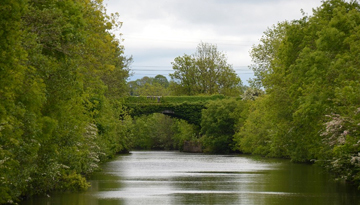 It's situated in the heart of rural Ireland and is close to the beautiful city of Limerick. 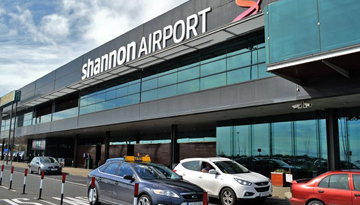 The international airport in the town makes Shannon an ideal flight destination if you want to tour the west of Ireland. Nearby in Limerick, you can visit King John's Castle. The 13th-century fortress can be found on King's Island and the site itself dates back to 922, when it was a Viking settlement. If you fancy exploring some of the famous Irish countryside Lough Gur is a great place to start. The lake is shaped like a horseshoe and there are megalithic remains, dating back several thousand years, in the area. The weather in Ireland is always going to hit and miss. But the best time to head to Shannon is in the summer months of June, July and August. Just don't be surprised if it rains during your stay! Ryanair offers cheap flights to Shannon from Stansted at £24.57 for roundup trip. Book Now. 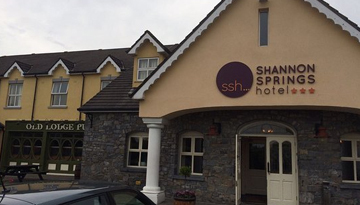 Just stay 2 or 3 nights & save up to 15% at Shannon Springs Hotel - Available all days. Fly from London - Shannon & Stay for 3 nights with 3 star accommodation. Room only.